Cut yellow page print quantities the smart way! 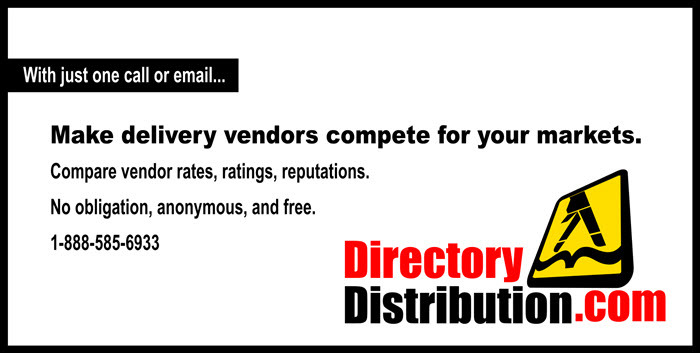 Directory delivery suppliers were already dying out but things recently got much worse. Publishers need to take steps now. Last summer's landmark Dynamex court decision opened a liability and lawsuit floodgate for industries such as ours. Resulting contractor reclassifications may include retroactive wages, benefits, and tax liabilities as well as much higher costs going forward. Among settlements offered: FedEx $240 million, Swift $100 million, Uber $100 million. Over 114,000 directory delivery workers were invited to join a class action against both the publisher and their delivery vendor. The defendant, the 2nd largest directory delivery vendor in US history, closed shop after six decades and declared bankruptcy. 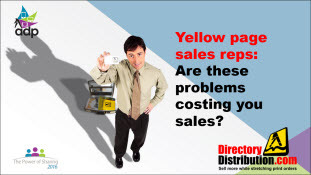 The yellow pages industry has always relied upon independent contractors for distribution. What will happen now? We can help. Our YP delivery kits enable anyone to deliver. With the kits, publishers can utilize any combination of surviving vendors, door hanger distributors, high volume van crews, local delivery firms, US mail, newspaper carriers, employment agency laborers, and TMC companies. Don’t take chances. Order delivery kits for your markets today. Delivery kits enable anyone to deliver directories, mitigate at-risk vendors. Kits include all the route maps, opt-out processing, reports, forms, etc. required for directory publishing. Think of these kits as the back-office, pre-delivery data-processing portion of the distribution process. Reduce risk. Take control. For every market and every edition, we can help you manage and adjust print quantities. Over 100 million books have been delivered with our kits. Probably nothing extra. As a publisher, you are already paying vendors for delivery routing. Buy direct and save. "I would rather quit than use any other system" said a publisher's director of national distribution. Use our kits to deliver your own books. Or parcel out individual markets or zones to any combination of delivery vendors and labor sources. Delivery kits include opt-out processing. Opt-outs are shown on the route maps. Grid-based YP Flex-Zones provide 20 to 35% lower labor costs than industry standard postal routes. Forms, reports, wall maps, and route maps are included in the kits. Included tools allow publishers to track and prioritize deliveries. 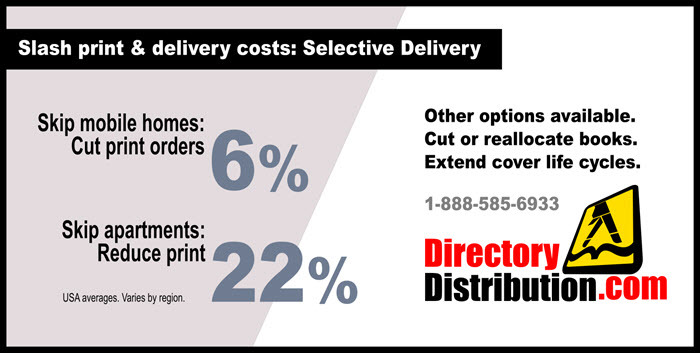 Use our distribution kits to meet the unique requirements of the phone book industry. The routing and mapping typically used for low-cost circular and door hangers are simply not adequate for the considerably higher costs of printing phone books. We invented the zone-based system that slashes labor and fuel costs and environmental impact by an average of 20 to 35% compared to industry standard. Need to cut print quantities? We split your market ZIP Codes into hyper-local Flex-Zones. Keep the good parts of each of your current ZIP Codes while skipping the bad parts. Ration books based upon proximity to advertisers, shopping patterns, demographics, drive times, and many other variables. Exclude mobile homes, RV parks, and apartments for all or portions of your markets to reduce print orders. YP Flex-Zones provide more precise scoping, delivery, and print rationing options.